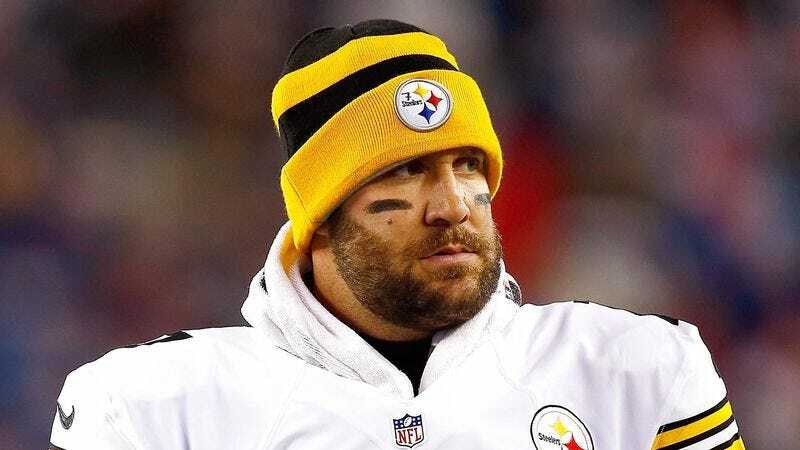 PITTSBURGH—After the veteran quarterback strongly refuted earlier reports that he would leave the Steelers this offseason, sources confirmed Wednesday that Pittsburgh residents were horrified to learn Ben Roethlisberger considers the city his home. “I always assumed he stayed here while the Steelers were playing and then went back to Ohio during the offseason, but he wants to live here for good?” said 41-year-old Pittsburgh native Melissa Galewski, who confirmed that learning the two-time Super Bowl winner has settled down and plans to live in Pittsburgh for years to come is “beyond disturbing.” “I mean, he called himself a Pittsburgher and said he wants to raise his kids here. The fact that he even has a child in the first place is already upsetting enough, but the thought of running into Ben Roethlisberger on the sidewalk or at the grocery store in 15 or 20 years’ time is just…I really don’t like this.” Sources later confirmed that in light of Roethlisberger’s declaration, property values in Pittsburgh had plummeted by 800 percent.